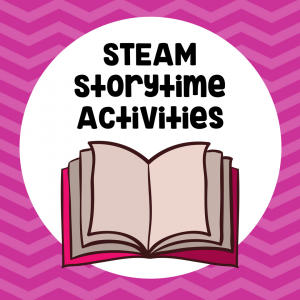 STEM or what we like to call STEAM activities for preschoolers offer a safe place for children to explore creative thinking, logic, science, and art. Preschool STEM activities allow children to see how what they learn in school can be used in real life. Preschoolers are just learning about the scientific method and are delighted by even the simplest experiments. 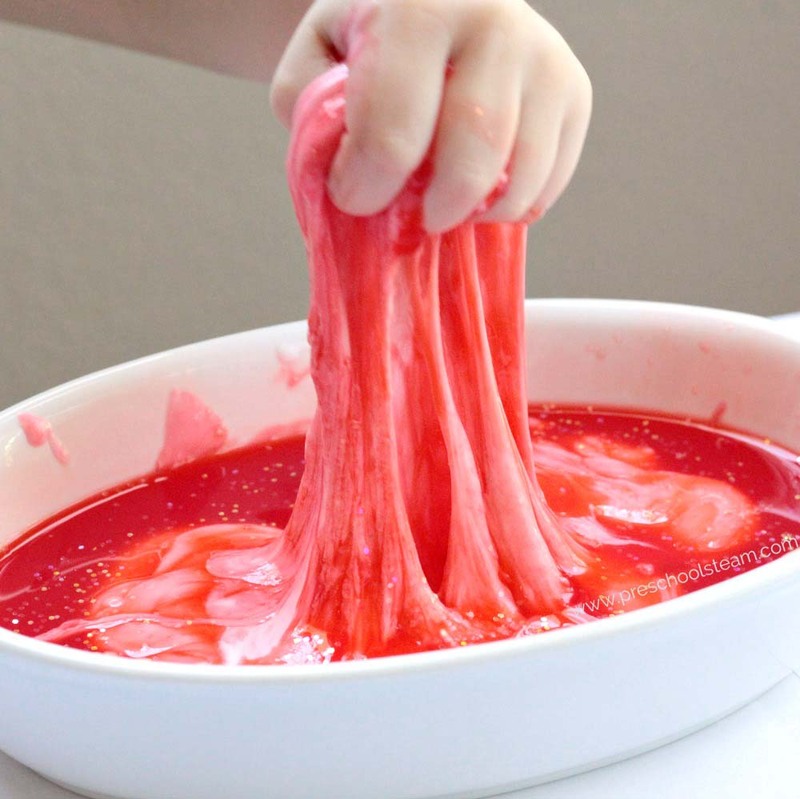 Give your STEAM project a holiday twist with this Christmas slime preschool STEAM investigation. 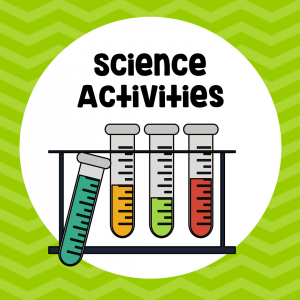 Objective: Learn about polymer chains and why glue and starch make slime. Materials: Red food coloring, white school glue, liquid starch, glitter. 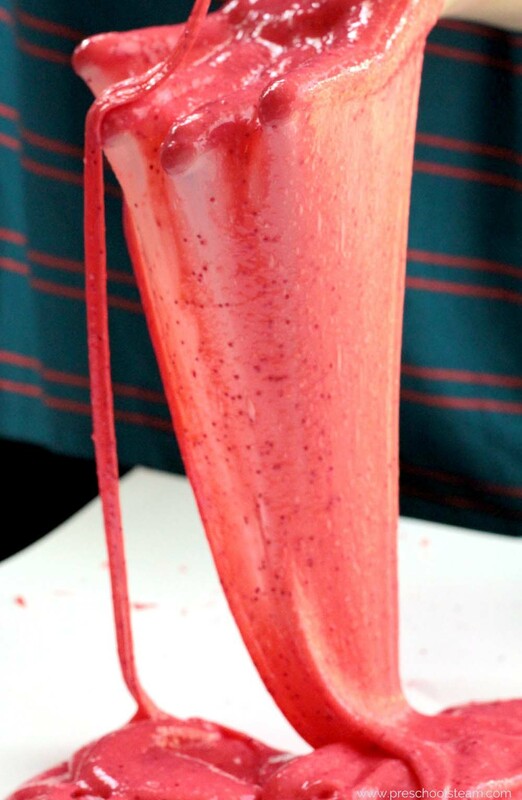 Ask: How is slime made? What will happen if starch and glue are mixed? 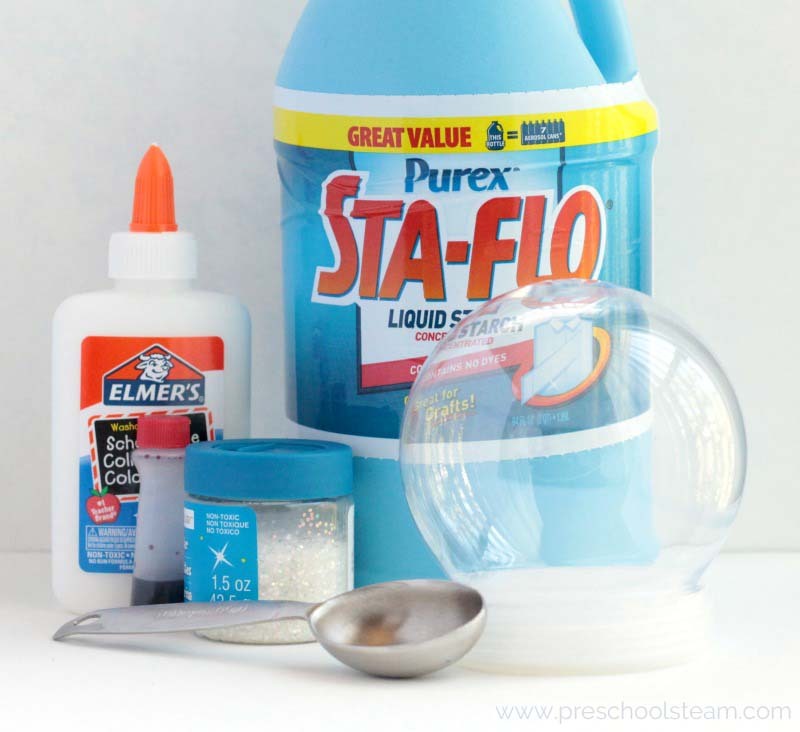 In most cases, the preschoolers will probably answer “it will make a big mess.” They will be so surprised when the starch and glue transform into squishy, clean slime. Learn: When liquid starch and PVA glue mix, it creates cross polymer chains. This means that the two materials combine to make a new substance that is a non-Newtonian fluid with properties of both a solid and a liquid. 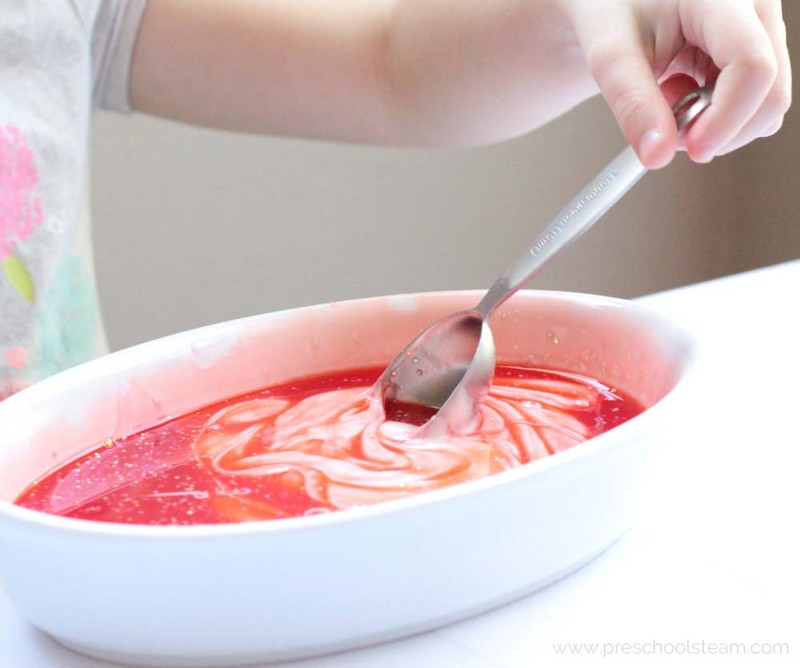 Experiment: Mix 1/4 cup of water, 1/4 cup of glue and 5 drops of red food coloring in a bowl. Sprinkle in a generous helping of glitter. Drop 1/4 cup of liquid starch into the bowl and mix. 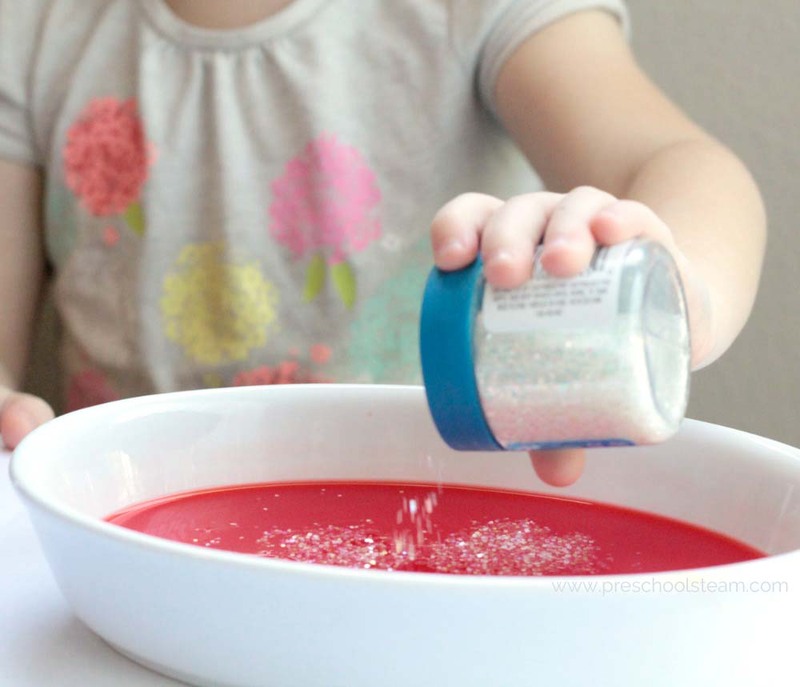 Within a minute, the glue and starch will combine to create sparkly Christmas slime. Knead the slime as needed. 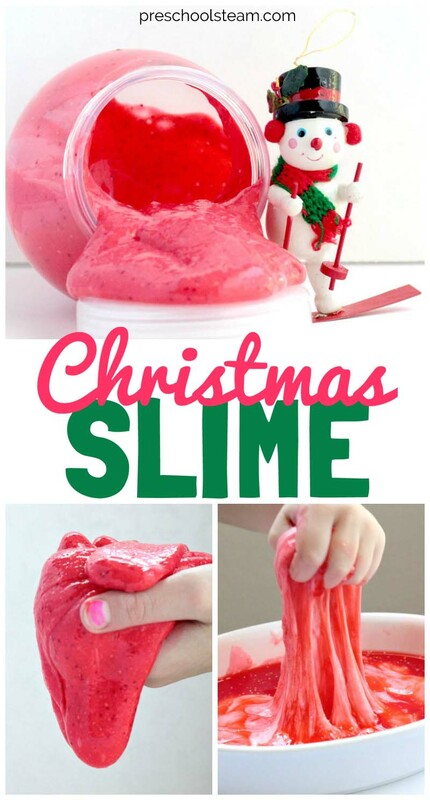 Play: Allow the preschoolers to squish and play in the Christmas slime. SAFETY ALERT: Make sure the children keep the slime away from their clothing and hair for safety. Science: Discuss polymer chains and non-Newtonian fluids. 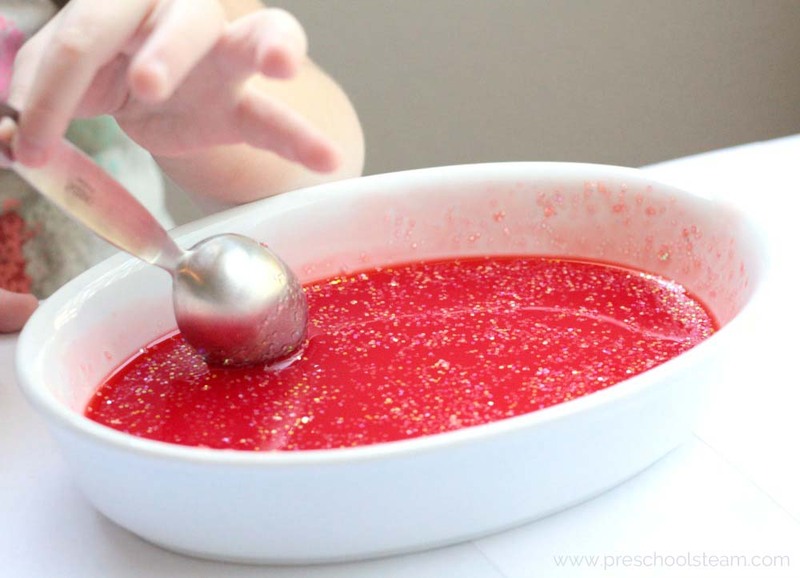 See if your preschoolers can think of any other non-Newtonian liquids. Technology: Take pictures of the process as you go along. 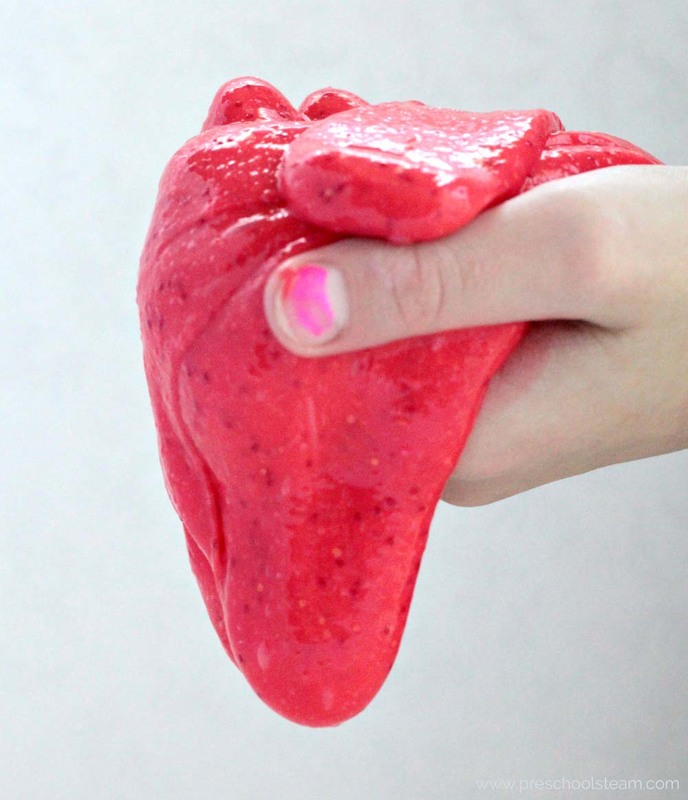 Let the kids take home their slime. 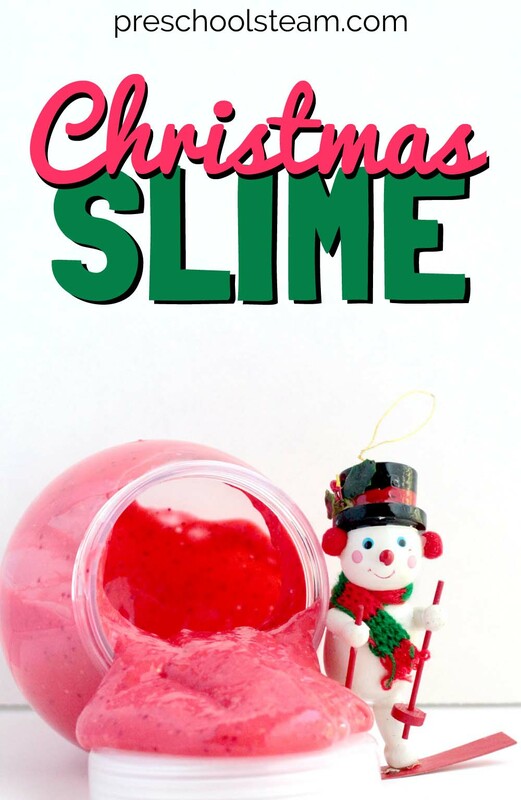 Engineering: Let the kids experiment with varying levels of starch, water, food coloring, and glitter to find the perfect Christmas slime recipe. Art: Food coloring and glitter make this the perfect Christmas activity! Math: Keep track of the amount of starch, water, glue, and food coloring used. Count how long it takes to transform the glue into the perfect slime.